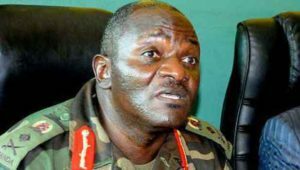 Former army commander Gen. Katumba Wamala. File photo. 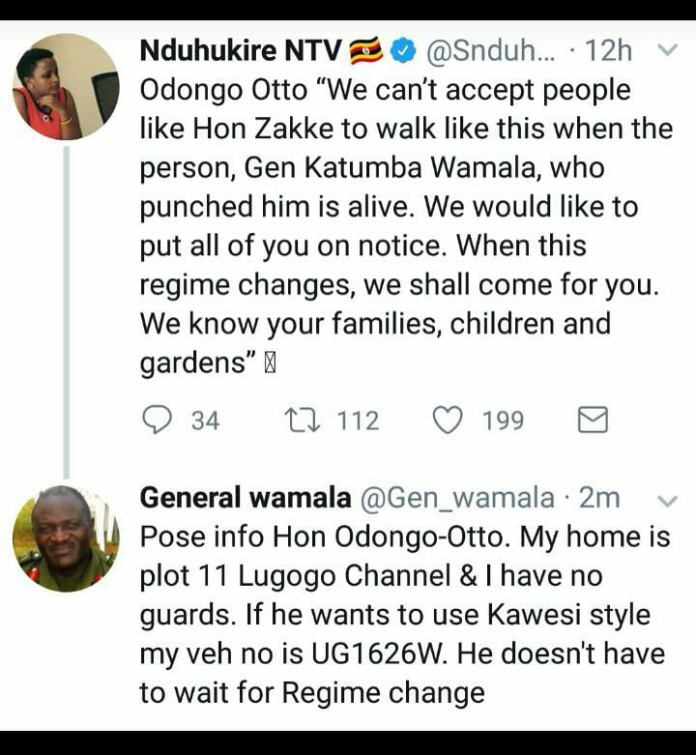 Former army commander and State minister for Works, Gen Katumba Wamala, has challenged Aruu County MP Odonga Otto to follow him to his home and kill him or assassinate him ‘Kaweesi style’. “Pose info [sic] Hon Odongo-Otto. My home is plot 11 Lugogo Channel and I have no guards,” Katumba asked volunteers to pass on his home address to Otto. “If he [Otto] wants to use Kaweesi style [former police spokesperson, Andrew Felix Kaweesi was assassinated in March this year] my vehicle no is UG1626W,” the enraged former army commander wrote. Gen. Katumba’s comments follow MP Odonga Otto’s remarks in which he urged Mityana MP Francis Zaake not to remain docile after what Katumba did to him during the September fist fight in parliament. “We can’t accept people like Hon Zaake to walk like this when the person, Gen Katumba Wamala, who punched him live on video is walking freely,” Otto said on Monday, opening old wounds. Katumba reminded Otto that “he doesn’t have to wait for regime change”. In a scene reminiscent of Chinua Achebe’s character Okwonkwo’s hacking of a son who had grown up under his care and patronage, Gen Katumba landed a massive blow on Zaake’s head that nearly uprooted the legislator’s neck. The legislator has had to seek medical treatment in US hospitals at the risk of developing brain disorder.